A solid tale of greed, obsession, and murder. 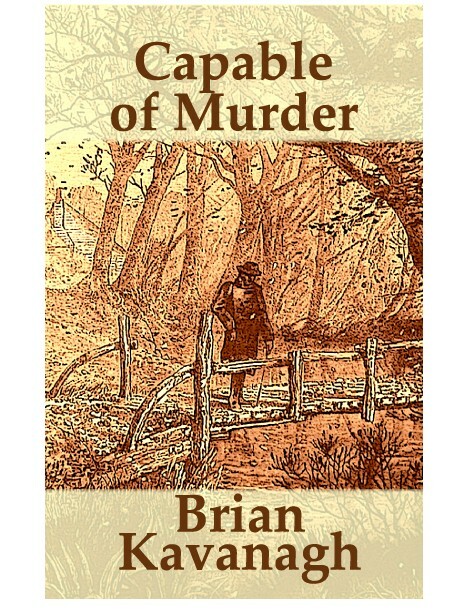 “Capable of Murder” is a must read! Mr. Kavanagh has written a story I could not solve, something that has become a rarity for me. Thank you. This tale is quite simple, really. The setting is on the outskirts of Bath, England. Belinda Lawrence is summoned, via a letter, by her reclusive great-aunt for a visit; however, ends up finding the aunt dead. Being the only living relative, Belinda inherits her aunt’s ancient cottage and dilapidated gardens. Belinda believes her aunt was murdered. Why? Because the letter summoning Belinda was mailed after her aunt’s supposed accident. That, and everyone Belinda meets seems to know more than they are willing to tell. Oh, and there’s that attempt on Belinda’s life as well. Yes, “Capable of Murder” does seem a simple murder mystery, but it’s all in the telling and Mr. Kavanagh does a wonderful job at telling it. He has painted a clear picture of the cottage and gardens. The characters are engaging while being both straightforward and complex. The killer’s motive for murder is not the normal quest for money or power, but something more down to earth. “Capable of Murder” is the first in the Belinda Lawrence series and I hope this will prove to be a long series as she and Mr. Kavanagh have a permanent place on my library shelves.